In an increasingly mobile world, the speed of your website can be a major make-or-break point for any business. Estimates suggest most sites lose half or more of their visitors just while their page is loading because people aren’t willing to wait around. So, how can you fix your site and make it lightning-fast? Google can tell you specifically what you need to do with its Test My Site tool, which just received a new set of features this week. To show just how effective it can be to make your site faster, Google points to a case study from a Nashville fencing company. According to Google, Yard Dog Fence Company managed to double its sales just by following the recommendations suggested by the Test My Site Tool, such as reducing image size. The days of waiting around for minutes while a website loads are gone. These days, people are likely to leave if your page hasn’t rendered in five seconds or less. It may seem like a tough challenge to speed your site up that much, but the Test My Site Tool will give you an actionable list made specifically for your site. With that as a roadmap, you’ll be able to make the changes you need to supercharge your site, improve your traffic, and increase conversions. Analytics is an essential way to measure the effectiveness of your ads, but traditionally your results are kept in isolation. The only thing you have to compare against is past results. 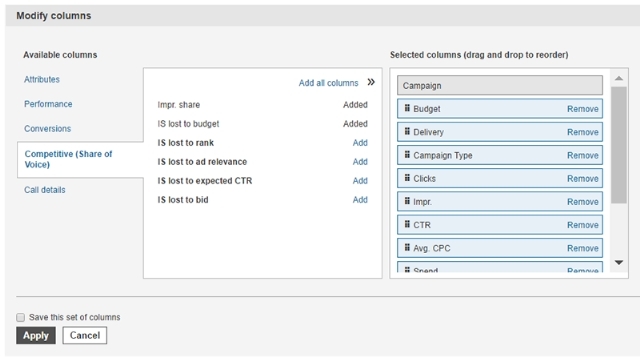 Bing is changing that, with a new way to compare the results of your ad campaigns against how your competitors are performing. These new competitive metrics, also known as “share of voice” metrics, have been added to Bing’s in-line performance views, with details on your ads and similar campaigns in your industry. You still can’t hand-pick your local competitors and spy on their campaigns, but the new metrics will give you a better view of how you are doing within your market. 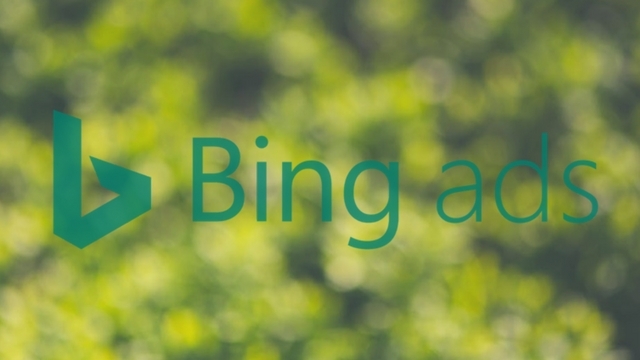 To get started, just log into your Bing Ads account and select either Accounts Summary, Campaigns, Ad Groups, or Keywords. Once you’re on any of these pages, click the Columns button. This will allow you to add any metrics from the Competitive (Share of Voice) section. Once you’ve applied your changes, these new metrics will appear in your reports. Bing says the metrics are compatible with all other reporting features offered by the platform. The announcement says this latest update is just “one of many” enhancements to Bing analytics the company will be releasing this year, though they are keeping those upcoming updates a secret for now. Wish you could put personalized messages into search results? Until now, the only way for you to get a specific message out to people finding your business was to send out tweets popular enough to get included or to publish paid search ads. That’s all changing now, though. 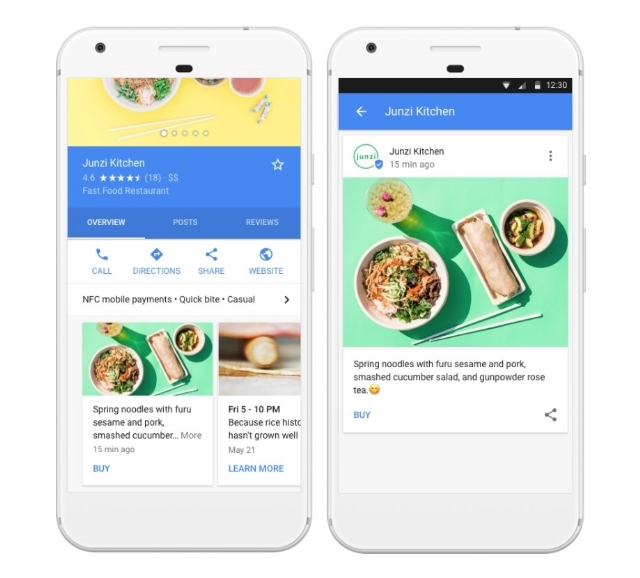 Google released a new feature this week called Google Posts for all businesses with a Google My Business Listing. 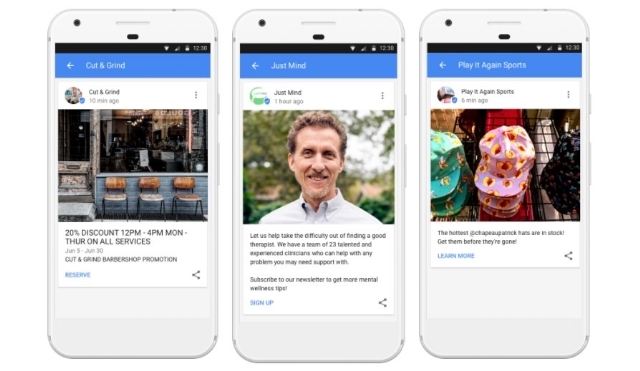 With Google Posts, you can finally share your message on search results without the costs of ads or hit-and-miss nature of social media. Any time you share a Post, it will appear in search results and Google Maps pages that include your business listing. The message will initially be just a small snippet, but searchers can expand it with a single tap to read more. There are potentially limitless ways businesses can take advantage of the new feature. Specifically, Google suggests getting started by updating customers with information about new sales, upcoming events, and new product launches to build excitement. In addition to your customized message, you can also include photos and custom calls-to-action to encourage making a reservation, signing-up for your newsletter, or linking to your latest special offer. Google Posts are already available to any business with a verified Google My Business account. You can get started sharing your messages and customizing your listings now from any desktop, iOS, or Android device. It seems like everybody these days is going crazy about fidget spinners, especially teens. Well, you can save yourself a few dollars – if you haven’t already bought one. 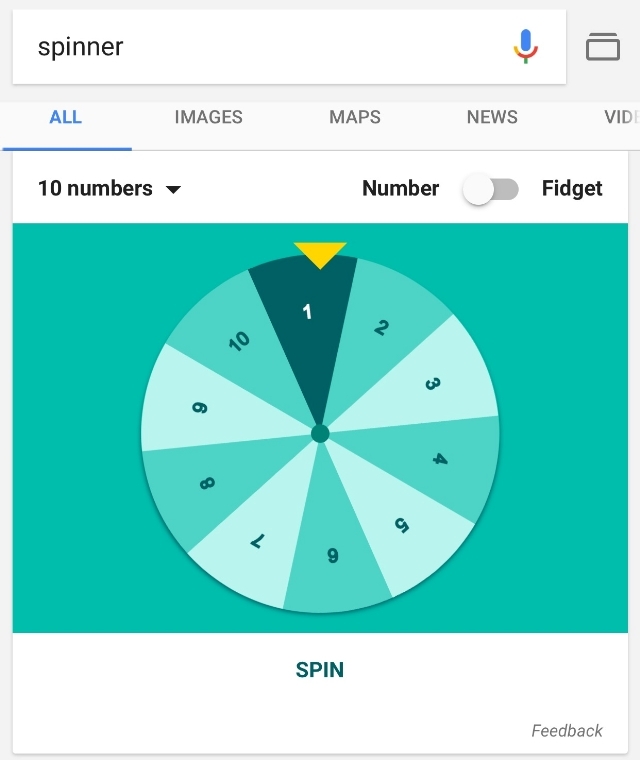 These “spinners” are now just a search away, thanks to Google’s latest Easter egg. 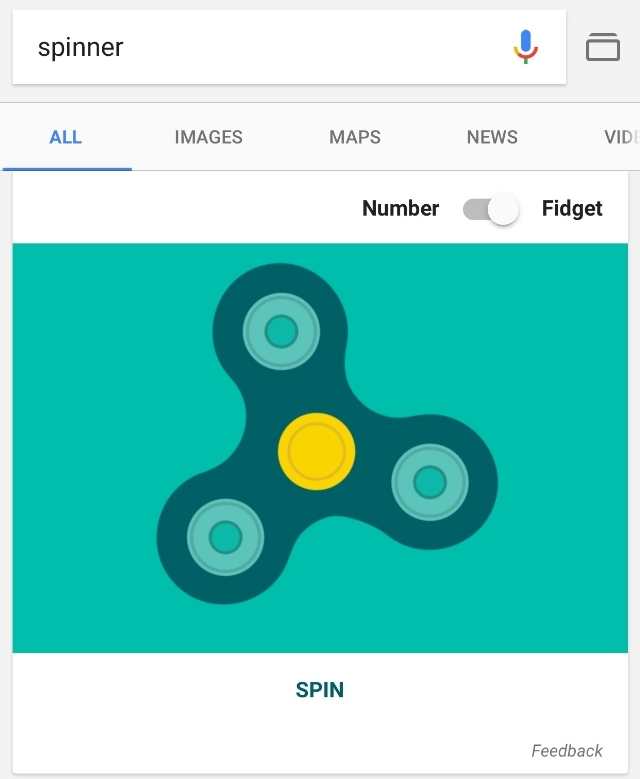 By searching “spinner”, you can play with a virtual version of the fidget spinners that are everywhere. Technically, there are two different spinners available. 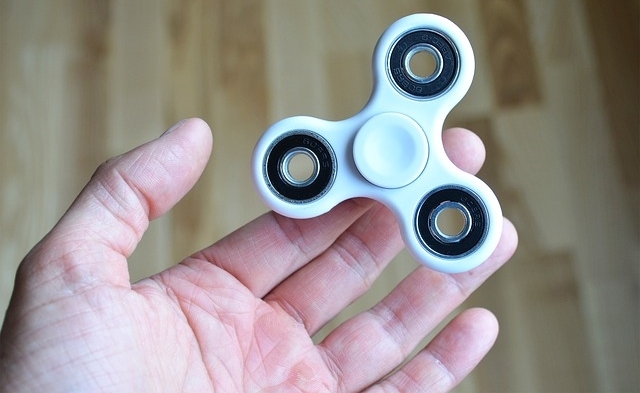 There’s the classic spinner that’s become so ubiquitous it is getting banned in schools, as well as one with up to 20 spinning numbers. Aside from Dungeons and Dragons players who forgot their 20-sided dice, I’m not totally sure who that’s supposed to be for. Google’s fidget spinner functions pretty much exactly as you would expect. You can swipe either direction to send it spinning, or just tap the convenient “spin” button to watch the thing go. It will match however fast you spin it and stop when you tap. Unlike the fidget spinner, this option is more like something you’d see on a game show. You swipe to send it spinning, and it eventually comes to a stop on a specific number. You can choose to customize the wheel with between 2 and 20 numbers, making it a sort of limited number generator. Whether you love or hate spinners, there’s no denying how popular they are. Once Google puts you in the search results, you know you’ve made it! Do you have a website for your business? If you’re like 60% of small business owners around the world, the answer is no. Whether it is because you lack the expertise or can’t afford it, Google wants to help. 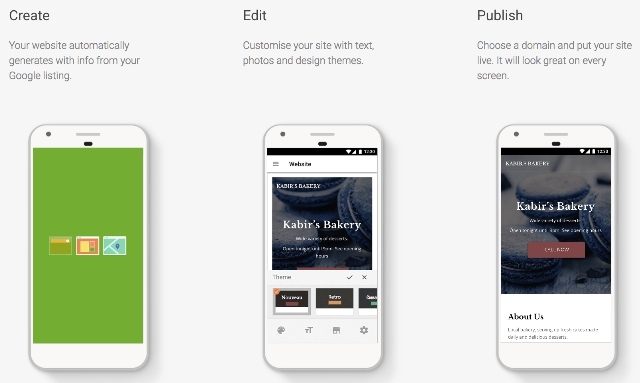 This week, Google officially released a simple one-page website builder designed to make getting your brand online quick, easy, and (most importantly) free. The new feature, called “Website”, allows you to create and edit a basic website for your business in just a few minutes. You can even make your site on a smartphone, as well as from a desktop device or tablet. 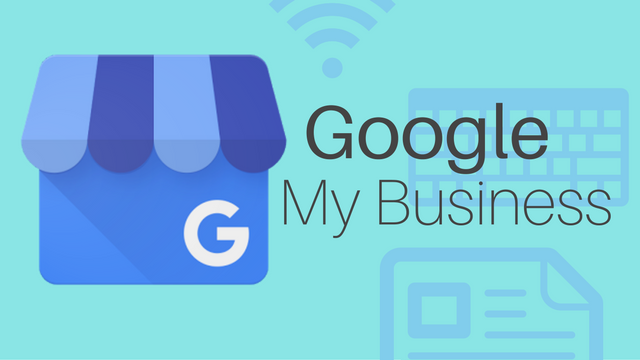 Website is being touted as a new part of Google My Business, meaning you will have to sign-up and fill out business information before you can use the tool. However, this also makes the process of making a site easier, since Google automatically uses this information to fill out your website. From there, you can customize it with a selection of themes, pictures, and customizable text. 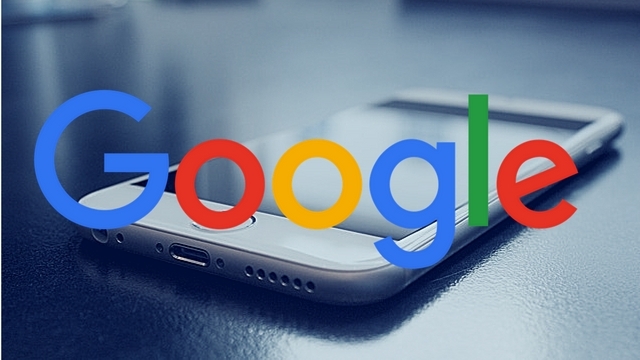 If you don’t already have a GMB listing for your business, Google will automatically ask if you’d like to create a site when you sign-up. Those with existing listings on GMB can click the “Manage location” tab and select Website from the menu to get started. You can also skip right to making your website by clicking here. The process is extremely simplified. Google will walk you through the steps and you can spend as much or as little time as you want tweaking your page before publishing it onto the web. You don’t even have to worry about hosting. Any sites made with Website will have a URL following the structure “yourcompanyname.business.site” by default, but you can also purchase a custom domain through Google My Business within the Settings menu. Once your website is online, any changes you make to your GMB listing will automatically be applied to your website as well. Of course, the tool is designed to be used for very basic websites and lacks many of the features you would expect from a more comprehensive website management system. You won’t be able to create additional pages to highlight specific products or services, let alone operate a blog or robust sales page. On the upside, having a simple website for free is still better than nothing at all. Facebook Fixes Instant Articles With… Ads? 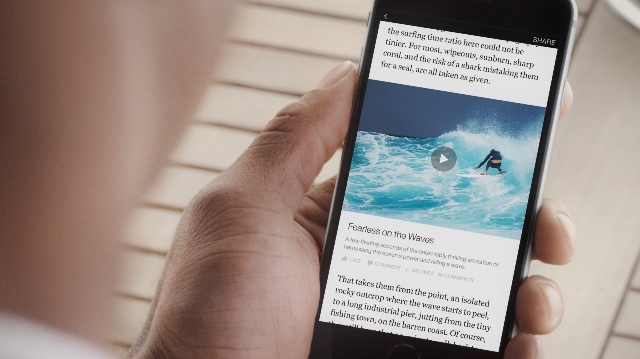 Facebook’s Instant Articles are touted as being the fastest way to deliver content on the web. They are even supposed to be faster than Google’s Accelerated Mobile Pages, which similarly streamline content to load as quickly as possible on mobile devices. There’s just one problem: no one seems to be using them. Even big publishers that initially led the charge to Instant Articles have slowly started dropping the service, opting instead to use regular content hosted on their website or relying solely on Google’s AMP platform. This week, Facebook made strides to attract publishers back to Instant Articles by announcing new ways to implement ads and monetize content shared on their fast-loading pages. The ads are designed to be minimally invasive, only appearing within the “Related Articles” section appearing below the full articles. The company has been testing these ads since March of this year, and say they provide an “incremental increase” in the amount of revenue generated by Instant Articles, according to a blog post shared on Thursday. As you can see in the image above, the ads look similar to most advertisements across Facebook. They put the focus on a large image, with a small bit of descriptive text and a link. For now, videos aren’t allowed but that could potentially change in the future. The main difference between these ads and standard Facebook News Feed ads is they now appear at the bottom of the page among links to other articles, instead of in your feed. There is one catch, however. To include the new ads in the “Related Articles” section of Instant Articles, you must also be a part of Facebook’s Audience Network. Interestingly, Facebook says the ads can be used for virtually anything – not just branded content. The only requirement is that the ads link directly to a landing page. While the ads may bring publishers back to using Instant Articles, the advertisers themselves may be less happy about the new ad placement. Advertisers who opt-in to placing their ads in Instant Articles can’t control whether they are prominently placed above the ad or within the “Related Articles” section at the bottom. The good news is, they can choose to block specific publishers or types of content from including their ads. That means you can at least be sure your ads aren’t appearing alongside questionable or objectionable content that could hurt your image. Taylor Ball https://www.tulsamarketingonline.com/wp-content/uploads/2018/07/TMO-Logo.png Taylor Ball2017-06-09 16:37:302017-06-09 16:37:30Facebook Fixes Instant Articles With... Ads? Pinterest has become one of the most reliable social media sites for retailers and brands hoping to gain a following, so it should be no surprise it is also developing one of the most extensive advertising platforms. Over the past year, the social network has expanded its ad platform in several ways, including partnering with Kenshoo and improving their visual search functions. Still, many have been hesitant about investing heavily in an ad service that isn’t run by Facebook or Google. There are perhaps several reasons Pinterest’s ad service has seen relatively slow adoption by most online brands, but the biggest is probably the most simple: it’s different. Instead of following the established systems of the other big online ad platforms, Pinterest has strived to maintain the visual nature and originality that have been central to its entire service. While this may make their ads less obnoxious and more cohesive with Pinterest’s normal content, it also creates a hurdle for advertisers who don’t understand exactly what is being offered or how the ad service works.